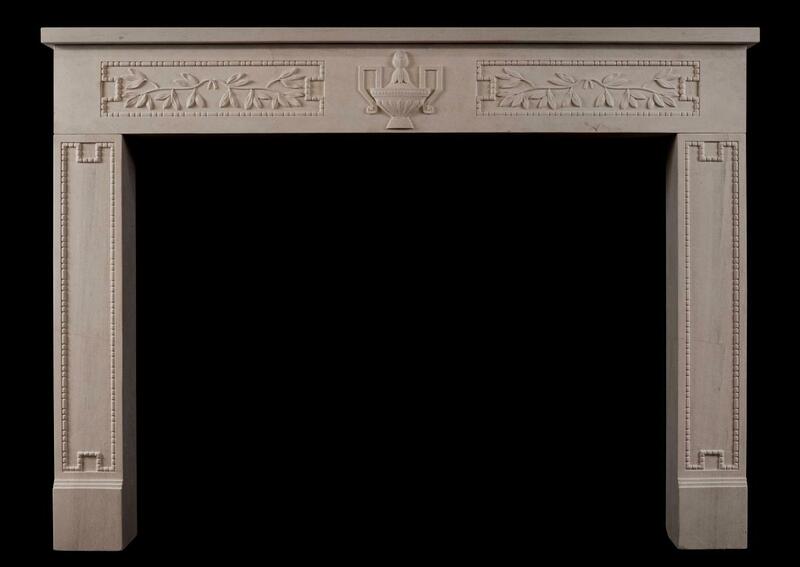 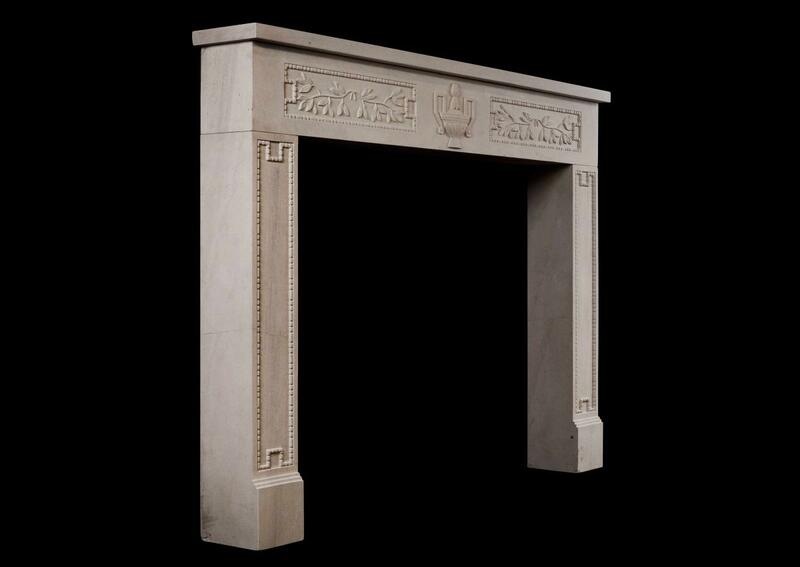 A rustic and imposing limestone fireplace in the French Louis XVI style. 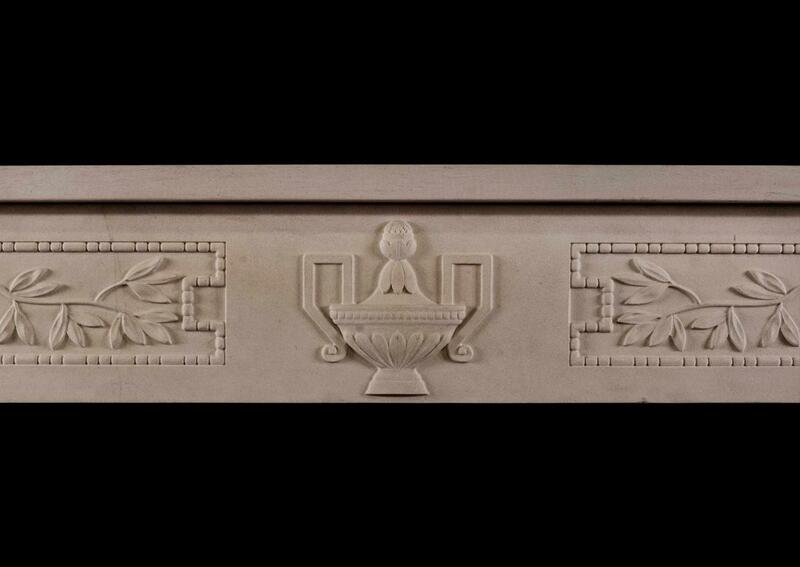 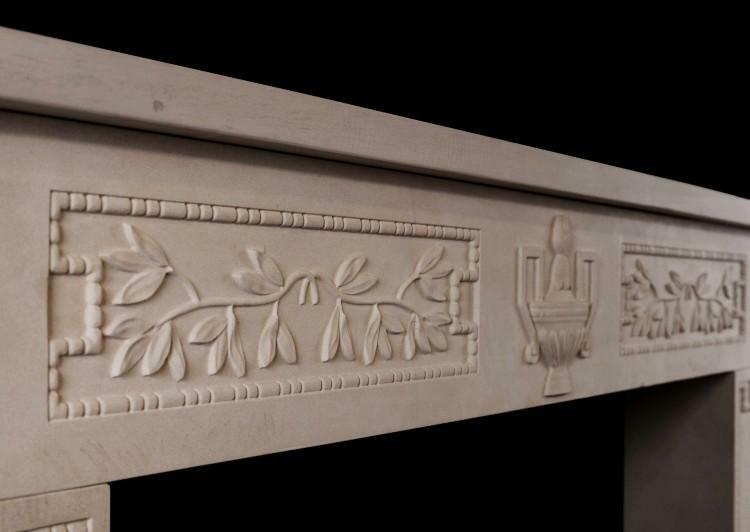 The frieze with carved centre urn and beaded side panels with foliage decoration. 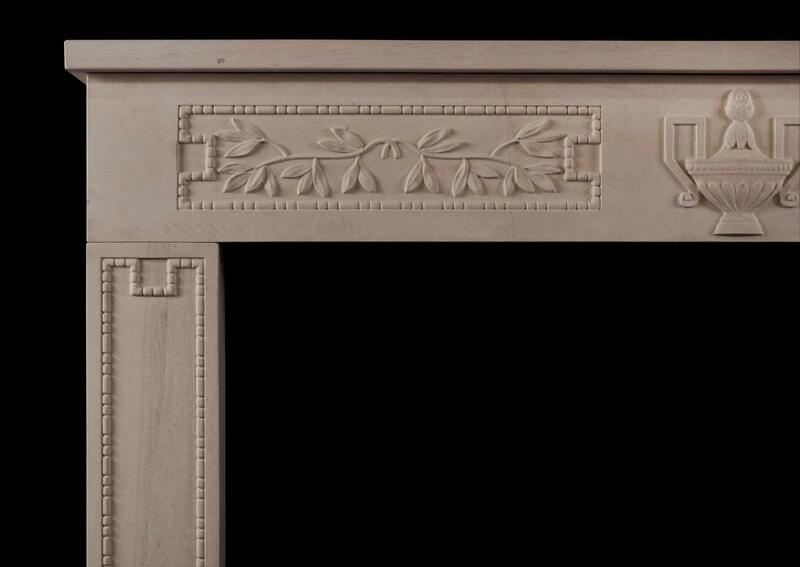 The carved, panelled jambs with matching beading to frieze. A copy of an 18th century original. Could be antiqued if required.